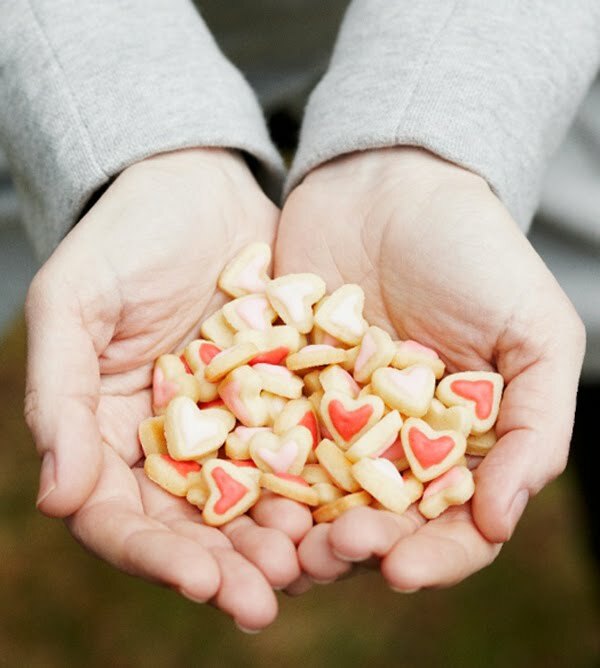 In celebration of love and romance, the Brownstone café will be hosting its 14th Annual Valentine’s Day dinner at the café on Tuesday, February 14, 2012. Normally closed during the evening, the café will be open from 5 p.m. – 9 p.m. for couples to enjoy a romantic and decadent four-course dinner and to experience the café at night in the beautiful Villa del Sol. For $99 per couple, this dining opportunity includes some of Brownstone Café’s most popular appetizers, champagne, a sumptuous entrée, and a mouthwatering dessert. For example, there will be mushrooms stuffed with Crab Florentine, Filet Mignon topped with apple bacon chutney, the famous Tomato Basil Bisque soup and to polish it off a lusciously rich heart- shaped chocolate cake. It was only 14 years ago that owners Kim and Glen Rhynes wanted to open the café for love struck couples to celebrate such a special day; a day that holds significance to Kim and Glen. They fell in love on Valentine’s 14 years ago and wanted to pay tribute to that important day in their lives by hosting the Valentine’s dinner in the café they owned together. Spoil your sweetheart and register online today! The Brownstone Café hosts weddings and various celebrations and invite all couples to celebrate Valentine’s Day with them at the café. However, there are limited spots available for the dinner. Reservation can be made via phone call at (714) 526- 9123 or by email through info@brownstonefood.com. For further questions, please contact Kim Rhynes at (714) 454-3356 or by email at info@brownstonefood.com. 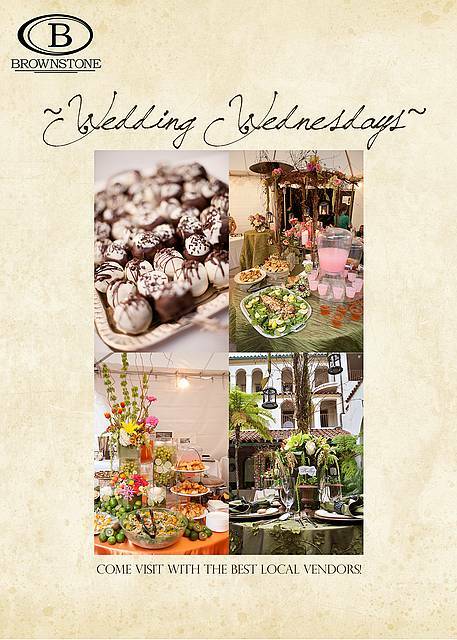 Join the Brownstone Café for its Monthly Wedding Wednesday and Event showcase. As the trees shutter the last chills of the winter cold, what better way to delight in the spring sun than with celebrating upcoming nuptials with a bridal shower, the anticipated birth of a friend’s baby, or spoiling your best friend on their birthday? The showcase will allow you to sample Brownstone Café’s menu and services as you prepare for your next event or party. Brownstone Café will have other event vendors at the showcase, providing many resources for you in one location. One of the vendors includes Patty’s Cakes, who is famous for her gorgeous wedding cakes, scrumptious cupcakes and trendy cake balls. Voted as “Bride’s Choice” for 2012, which is an award that recognizes a business based on its great reviews and being in the top 5 percent of wedding professionals from the WeddingWire Newtork. The Brownstone Café has hosted several weddings and celebrations over the past fourteen years and invite all couples to join in celebrating this momentous occasion. Reservations are recommended and are available via phone by calling (714) 454-3356 or through email at info@brownstonefood.com. The Brownstone Café & Catering, established in December 1997, serves a California Cuisine breakfast and lunch menu daily from 7 a.m. to 4 p.m. The family owned restaurant is home of the famous Tomato Basil Bisque Soup, and provides great food in the comfortable atmosphere of the Downtown Fullerton Villa del Sol courtyard. Along with many specialties such as breakfast skillets and omelets, as well as an exquisite lunch menu including salads, sandwiches, pizza and pasta, the Brownstone also provides exceptional services for both every day and elegant events with ease and enthusiasm. The Brownstone Café & Catering also specializes in weddings, full service catering, event production on-site, off-site and delivery locations. The Brownstone has been serving Orange County brides and grooms the freshest ingredients since 1998. Services and menus are customized to fit wedding, catering, event, and client needs as necessary. If you’d like more information about this topic, or to schedule an interview with Kim Rhynes, please feel free to call Kim directly at (714) 454-3356 or email Kim at kim@brownstonefood.com.